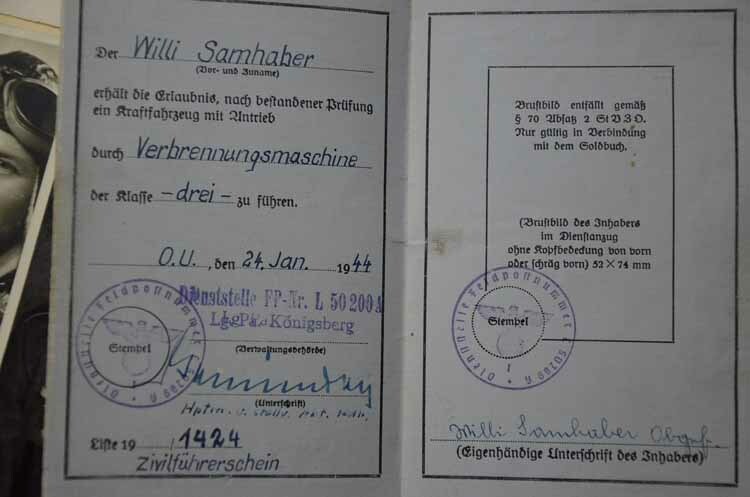 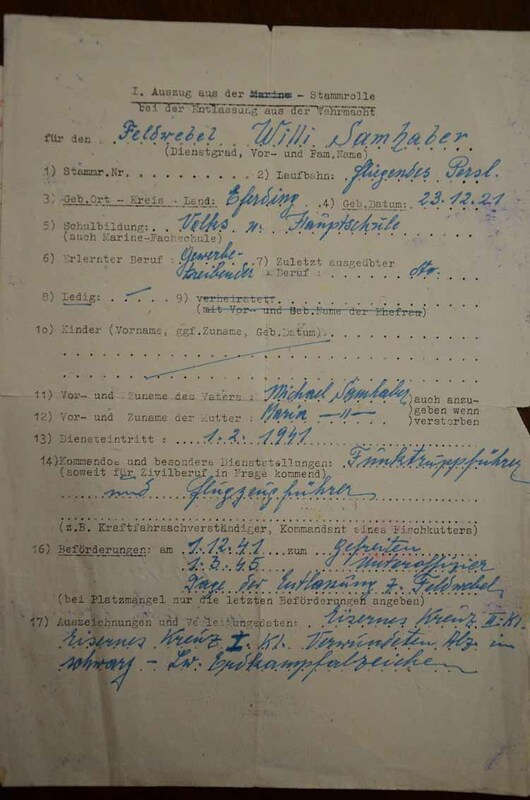 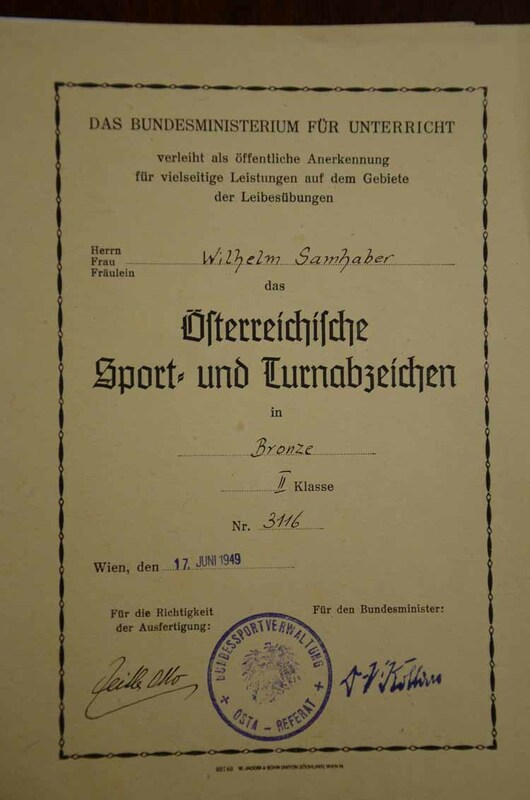 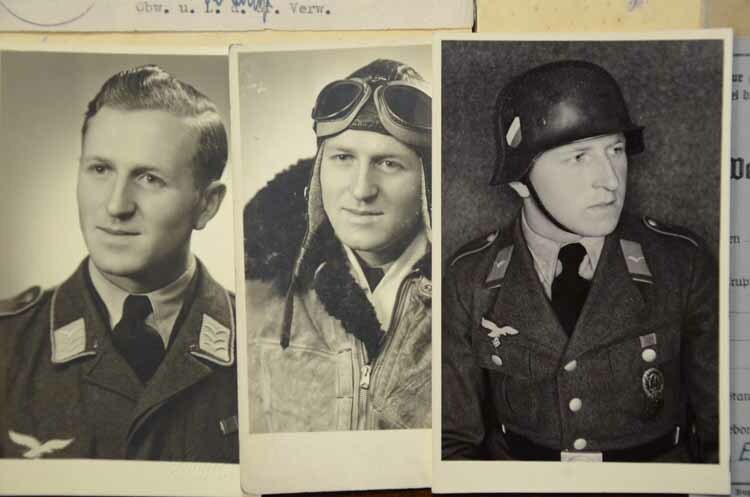 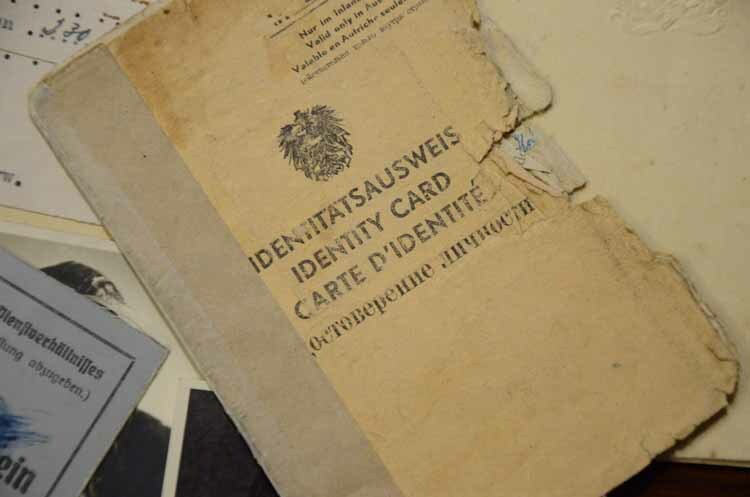 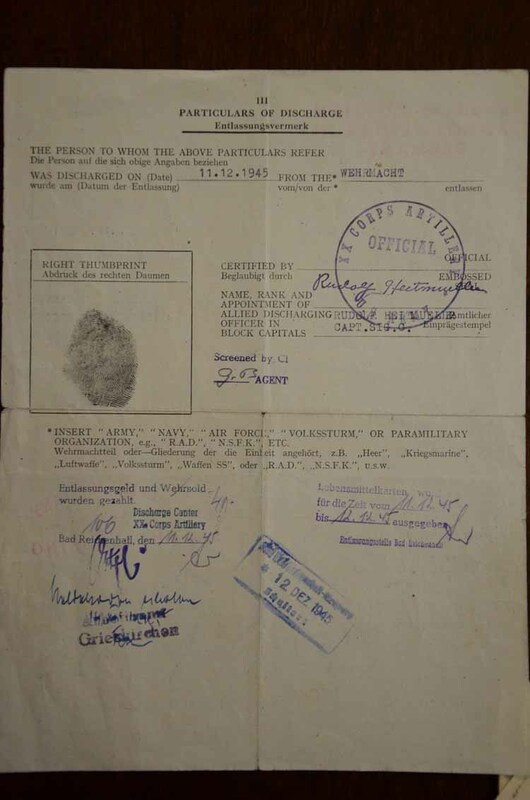 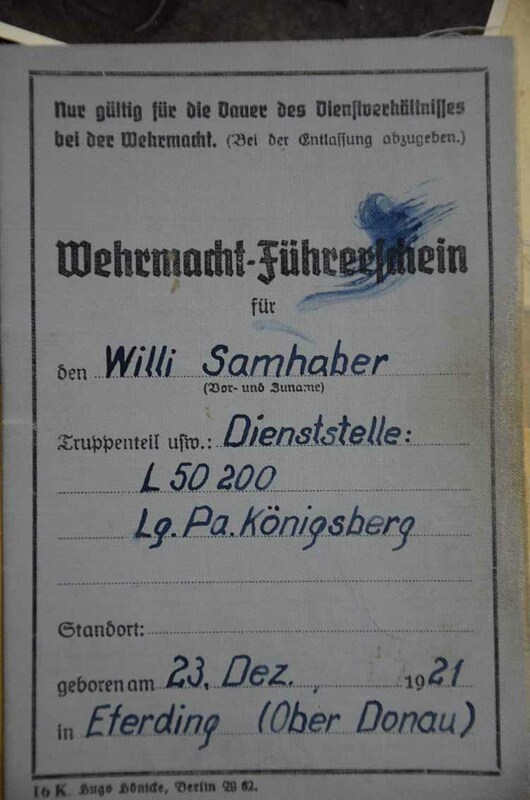 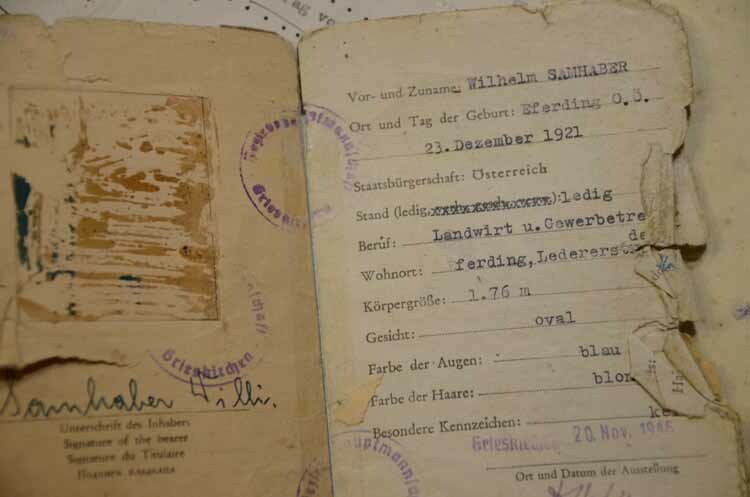 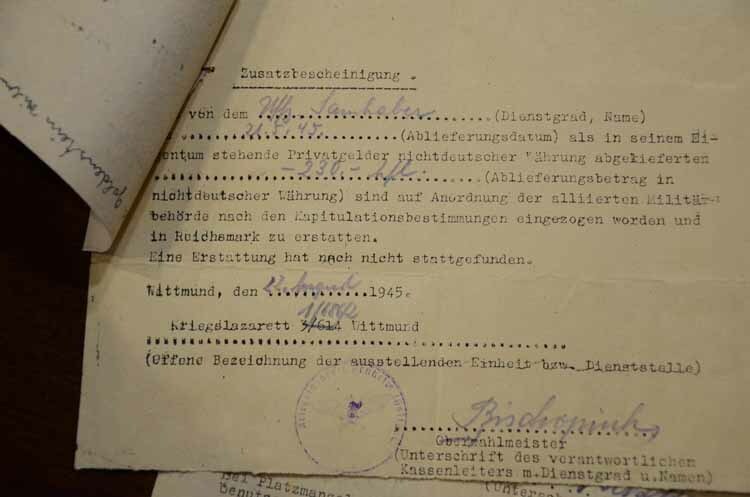 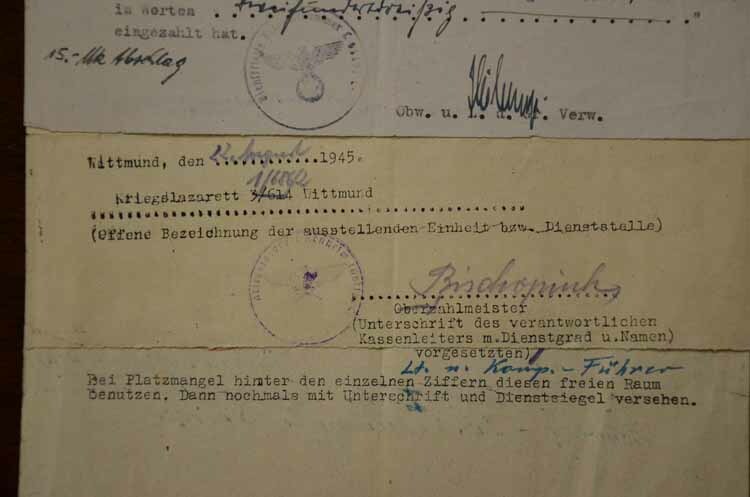 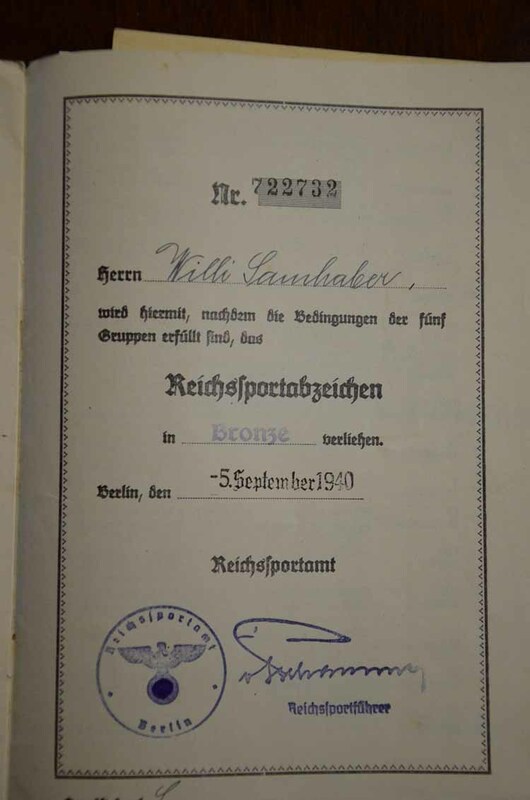 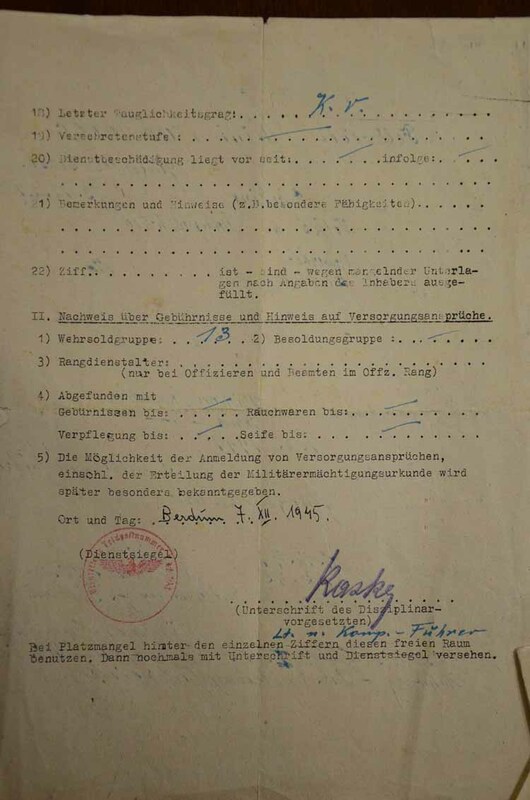 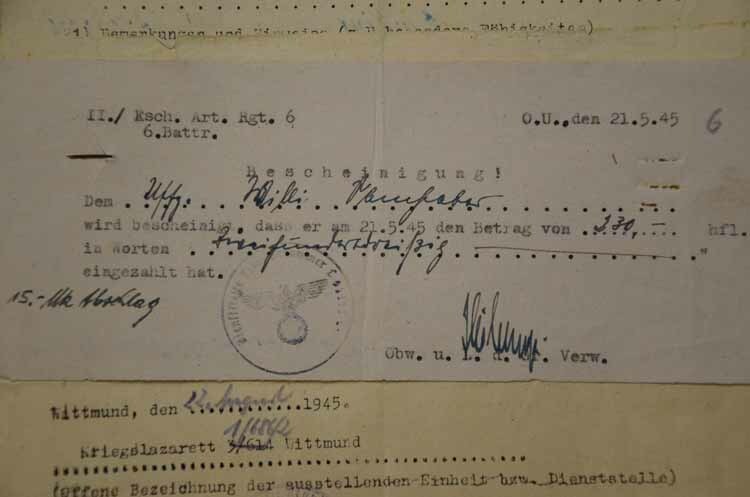 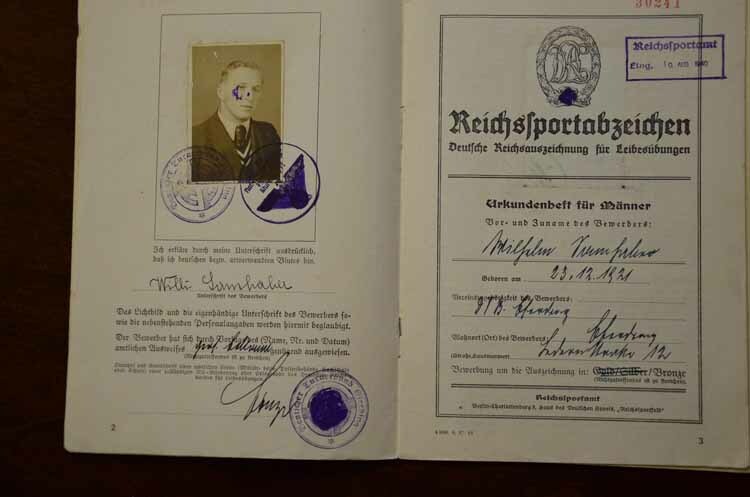 Nice portraits, Wehrmacht Driver's license and other documents. 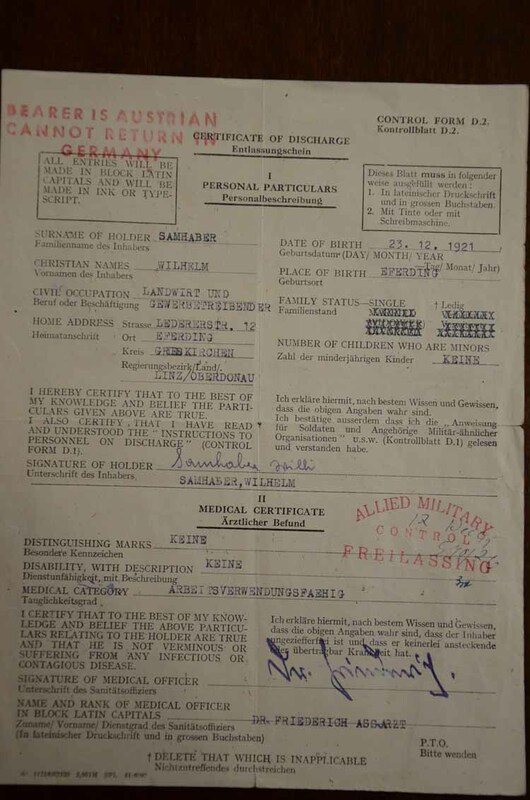 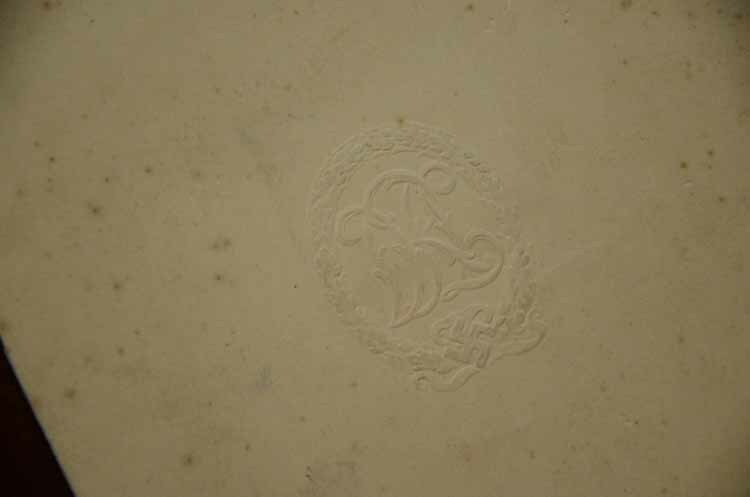 Service summary shows he was a pIlot and awarded EK2, EK1, Ground Combat Badge & Wound Badge. 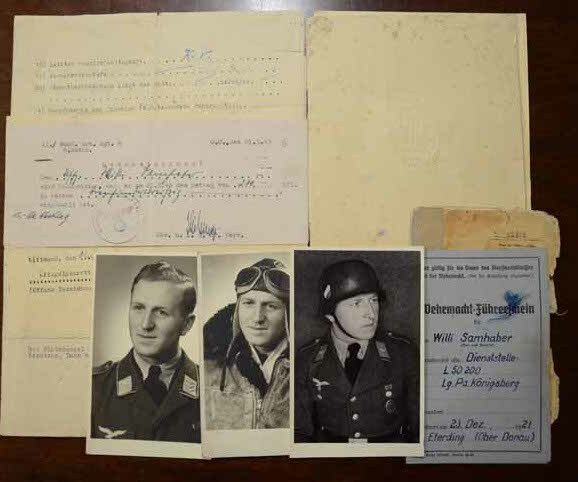 Military discharge, DRL Sportsbadge booklet, and more.